4) Taking reasonably necessary precautions to avoid hazards or road conditions. (c) Bicycles may be operated on the shoulders of partially controlled access highways, which are those highways where access is controlled by public authority but where there are some connections with selected public highways, some crossings at grade, and some private driveway connection. The Traffic Committee may determine that any portion of these highways is unsafe and therefore closed to bicycle operation. (a) Where public sidewalks are provided no person may walk along or upon an adjacent roadway. (b) Where public sidewalks are not provided any pedestrian walking along and upon a roadway, shall, when practicable, walk only on the left side of the roadway or its shoulder facing the direction of possible oncoming traffic. As motorists we often see individuals walking or running on a roadway with traffic approaching the pedestrian from the rear. The law requires that pedestrians walking or running, must run or walk along the left side of the road and facing traffic so that they can better move out of the way of a motorist that may be driving erratically or out of control. If there is a sidewalk or path adjacent to the road, the law requires that the pedestrian run or walk on the sidewalk. If a walker or runner is in violation of these rules and is struck by a vehicle, they may not be able to recover their damages from the motorist, or it may be a reduced amount, because a violation of the law in this case is evidence of negligence on the part of the pedestrian. So not only is a violation of these rules unsafe, but there can be financial consequences as well. As a bicyclist, the rules also carry the force of law. Unlike the rule for pedestrians, a bicyclist must ride on the right side of the road with the flow of traffic. Two cyclist may ride side by side, but only where you are not impeding the flow of traffic (making it difficult for a motorist approaching from the rear to pass the cyclists). As a motorist, you need to pass a bicyclist at a safe distance of at least three feet at slower speeds and a wider margin at greater speeds. The bicyclist is subject to the same rules of the road as a motorist at stop signs and red lights, and must use hand signals to indicate they are planning to make a right or left turn or stop. Whether a cyclist or walker/runner, make sure you are wearing bright clothing or if at night reflective clothing. Check with your local bike shop to make sure you have proper illumination if you plan to ride your bike at night. Schatz v. Cutler, 395 F. Supp. 271 (D. Vt. 1975) is the first case to consider the liability of police officers in a motor vehicle pursuit under the Vermont statute 23 V.S.A. § 1015. In that case, several police officers were pursuing a fleeing vehicle when the fleeing vehicle collided head-on with the vehicle being driven by the plaintiff. The pursuit began after Officer LaFlam “observed two cars … one of which was filled with young people.” Id., at 273. When the driver of the car filled with young people (Raymond Cutler) saw Officer LaFlam, “he rapidly changed direction and drove away” and “Officer LaFlam pursued him in his cruiser.” Id. During the pursuit, Trooper Doyle “joined in the pursuit.” Thereafter, another Trooper (Trooper Cronan) pulled alongside Cutler, at which time Cutler swung toward Trooper Cronan, and then Cutler collided with the plaintiff in the oncoming lane. Id., at 273-74. Importantly for this case, “Trooper Doyle and Officer LaFlam pulled their cruisers to a stop without becoming involved in the accident.” Id., at 274. In the subsequent action against the police officers, the federal court considered on summary judgment as a matter of first impression the following question: “[W]hether a police officer can be held liable for the injuries of a person whose car is struck by another driven by an individual lawbreaker being pursued by the police, when the police vehicle does not come into any physical contact with the injured’s car[. ]” Id., at 274. Applying 23 V.S.A. § 1015, and denying summary judgment for Trooper Doyle and Officer LaFlam, the Court held that a police officer “is called upon to drive with due care under the circumstances and is not protected ‘from the consequences of his reckless disregard for the safety of others.’” Id., at 274 (quoting § 1015(c)). Given the factual scenario upon which the Court denied summary judgment for Trooper Doyle and Officer LaFlam, it is clear that the decision to be involved in the pursuit up to the time of the collision was enough to give rise to liability under § 1015. Notably, the only actions taken by Trooper Doyle as set forth by the Court was that he “joined the pursuit” and then stopped “without becoming involved in the accident.” Id., at 273-74. In contrast to Trooper Doyle and Officer LaFlam, the Court granted summary judgment to one police officer who “was involved in the initial pursuit” but who “did not continue the chase after his cruiser was in a collision.” Id., at 275. Accordingly, as to the officer who terminated his pursuit prior to the collision, “any negligence on his part was too remote in time and place from the actual collision to have formed a part of the proximate cause of the ultimate injury.” Id. From these differing outcomes, it is clear that an officer’s decision to become involved in a pursuit—and the decision to continue the pursuit up until the time of a collision—are facts which are properly considered in the liability analysis under 23 V.S.A. § 1015. In Morais v. Yee, 162 Vt. 366 (1994), the Vermont Supreme Court, for the first time, discussed the duty of a law enforcement officer engaged in a motor vehicle pursuit. Morais involved a police pursuit of a motorcycle which resulted in the motorcycle crashing and the death of the motorcyclist. The pursuit began when the motorcycle driver failed to stop for an officer, at which time the officer “turned on his lights and siren and pursued him.” Id., at 368. Later, a second trooper “joined in the chase.” Id. Ultimately, the motorcycle driver tried to pass a third officer who was ahead of the pursuit, at which time he lost control and struck a rock. Id., at 368-69. In the subsequent lawsuit, the trial court dismissed the negligence claims against the police officers under the doctrine of qualified immunity. Id., at 369. In reversing summary judgment, the Supreme Court held, in part, that the police officers were not entitled to qualified immunity because they had a “duty to drive with due regard for the safety of all persons” under 23 V.S.A. § 1015(c). Id., at 373. In other words, as described by the Court, a police officer has “a duty to conduct high-speed chases with due regard for the safety of all persons.” Id., at 373 (emphasis added). The Court cited Schatz v. Cutler for the premise that “[t]he language [of § 1015(c)] clearly mandates that police officers may be held accountable when they fail to conform to this duty.” Id., at 373-374. In sum, the Court explained that 23 V.S.A. § 1015(c), together with similar statutes in other states, “embody a policy of balancing ‘the duty of law enforcement officers to apprehend violators of the law…with a duty of care to the general public as well.’” Id., at 374. More recently, in Rochon v. State, 2004 VT 77, the Vermont Supreme Court again addressed the duty of a law enforcement officer as established by 23 V.S.A. § 1015. Following Morais v. Yee, the Court explained that “the Legislature established a clear duty under that the source of the duty was § 1015(c)” and that “qualified immunity did not apply.” Id., ¶ 10. What is clear from these Vermont cases is that § 1015(c) imposes upon police officers a broad “duty to drive with due regard for the safety of all persons.” In the context of high-speed motor vehicle pursuits, the police officer’s duty is to conduct the pursuit with due regard for the safety of all persons. The duty to conduct a pursuit in a safe manner necessarily involves the decision to initiate a pursuit in the first place, as well as the decision to continue the pursuit as factors change during the course of the pursuit. In Simpson v. Rood, 2005 VT 21 and 2003 VT 39, the Vermont Supreme Court recognized that a “sudden and unforeseen medical event that causes a loss of consciousness” could be found by a jury to be an excuse for negligence. In that case, the defendant’s expert testified that defendant had suffered from cough syncope—a sudden bout of coughing that caused defendant to lose consciousness—before defendant drove across the center line and hit the plaintiffs’ vehicle. According to the defendant, he “remembered taking a sip of his coffee, coughing, and then waking up after the collision.” In rebuttal, plaintiffs’ expert opined that defendant likely had fallen asleep. The issue was tried to the jury and it found for the defendant, apparently believing defendant’s expert over plaintiffs’. Earlier Vermont case law on the doctrine of sudden emergency confirms that the defense is unavailable to a defendant who contributes to the cause of the emergency. In Rich v. Hall, 107 Vt. 455, 461 (1935) the court denied the defense of sudden emergency to a defendant where “[t]he defendant was confronted with a sudden emergency but his own negligence contributed to cause the emergency.” In Mattison v. Smalley, 122 Vt. 113, 117 (1960) the defendant claimed that she suffered an unexpected brake failure. The court explained that “[t]o be an unavoidable accident as to the defendant, it must have occurred without any proximate cause on her part. The test of liability is not whether the injury was accidental, but whether the defendant was at fault.” See also French v. Nelson, 111 Vt. 386, 391 (1941) (for a defendant to invoke the sudden emergency doctrine the emergency “must not have been brought about in whole or in part by his own fault”). In conclusion, a sudden emergency could be a complete bar to recovering compensation from a defendant; however, there are many facts to explore to test the merit of the defense. Do you have adequate underinsured motorist coverage in your auto policy? 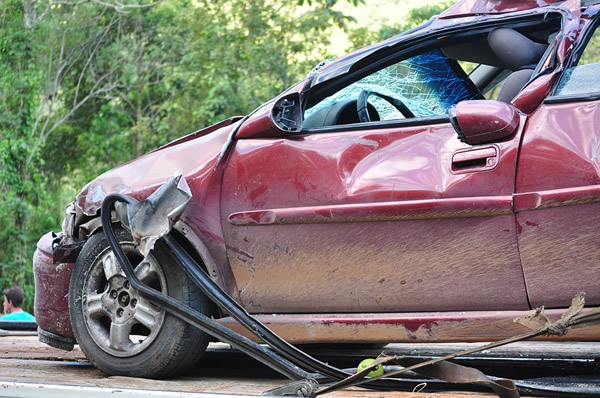 Our firm has for years represented individuals with serious bodily injuries arising out of an auto accident. Assume the Motorist at fault for the accident has liability coverage of $100,000.00, however you (the claimant) have medical expenses, lost earnings, pain and suffering, and permanent injuries that would warrant a settlement of $500,000.00. If your auto policy had UIM coverage of $500,000.00, than you can first collect the $100,000.00 from the insurance company for the motorist responsible for your injuries, and then you can make a UIM claim against your own auto policy for $400,000.00, the amount necessary to fully compensate you for your losses. If you have only $100,000.00 in UIM coverage (or less), the same coverage amount as the liability coverage in the policy of the person at fault, you will collect nothing from the UIM coverage on your policy, because the person responsible for your injuries is only under-insured for liability coverage if your UIM coverage is greater than the person at fault for your injuries. The cost to add higher limits to your UIM coverage on your auto policy is worth the investment in our opinion, as it allows you to control the amount of coverage available to you for your injuries (and those of your passengers in your car who may have been injured as well). I urge you to review your auto policy and consult with your insurance representative if you plan to increase your UIM coverage. Please feel free to call us if you would like more information on this subject.